Read and comment on this story from The Oregonian on 31-year old Congo RPCV Charles Lewis who returned from the Peace Corps in 1995 and started Ethos, a non-profit music education program, with a credit card. Now, with a $400,000 annual budget, Ethos has five full-time employees and 47 part-time music teachers who teach 280 kids a week. Ethos has started 48 after-school music programs and brought music to about 18,000 students statewide through more than 100 school assemblies. It takes a lot of imagination to see what Charles Lewis sees. As he leads a tour through the fire-damaged, vandalized, rotting, 18,000-square-foot Masonic Temple at North Killingsworth Street and Commercial Avenue, he points to where hundreds of kids will one day learn music after school. This dream is between $1.2 million and $2.7 million away from reality in the worst economy in 20 years. But standing in the wreckage of both the building and the times, the 31-year-old Lewis looks past all doubt to pure possibilities: the future stage, practice rooms, recording studios and artist-in-residence apartments and the logical next step for his 4-year-old after-school music program, Ethos Inc.
"This is our community," Lewis says. "We're building it stronger through music." Last week, Ethos bought the 1923 building from the Portland School District for $320,000. On Monday, Lewis and friends -- among them, the famed local band Pink Martini -- are having a block party from 1 to 4:30 p.m. to celebrate (see box). If all goes according to Lewis' plan, Ethos will be teaching music in the building in just two years. If that ambition seems foolhardy given the state of the building now, consider how Lewis started Ethos: with a credit card. 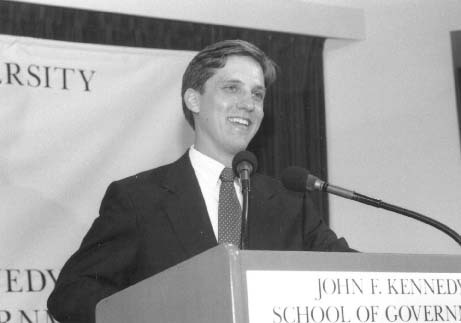 A graduate of the University of Portland and Harvard University's School of Public Policy, Lewis slept on a friend's couch and took no salary for Ethos' first year of operation, in 1999. Now, with a $400,000 annual budget, Ethos has five full-time employees and 47 part-time music teachers who teach D1 280 kids a week. Ethos has started 48 after-school music programs and brought music to about 18,000 students statewide through more than 100 school assemblies. As the horns, guitars, violins, drum kits and DJ turntables packed into the current headquarters, at 27 N.E. Killingsworth St., attest, what Ethos offers aren't the xylophone classes that remain the only instrument taught in some district schools. With instructors ranging from traditional music teachers to Portland Opera performers to band members from Jesus Presley and Pink Martini, Ethos lets kids try on any musical style or instrument they want, Lewis says, from hip-hop to classical. And all on a sliding scale from nothing to $104 for eight weeks of music lessons. The students have flocked to Ethos. So have the teachers. Lewis quips that his teacher-student ratio could easily be three instructors for every kid. "But we're mainly constrained by our building," Lewis says of the tiny, trailerlike current home. Two years ago, Lewis approached Portland Public Schools about buying the long-vacant Masonic Lodge. The building, to him, was ideal: a stately, three-story brick edifice across the street from Jefferson High School. In the more optimistic days of the mid-'90s, the school district itself had hoped to convert it into the "Jefferson Performing Arts Annex." But now, of the Portland Public Schools' 89 elementary, middle and high schools, according to Glenn Ludtke, who oversees performing arts programs for the district, 33 have no district-sponsored music programs at all. In North Portland, music education is even more limited. Of the nine-school Jefferson High School cluster, Ludtke notes, only four schools offer music programs. Of those, Ockley Green Middle School's is after-school only, Whitaker Middle School's has no instruments and Jefferson High School -- supposedly the district's performing arts magnet school -- offers only piano and gospel singing after school. "Charles is a visionary," Ludtke says. "He's not looking to get bucks off the students. Everything he does is first-rate. The new building is in a tremendous location to give students even more access." Though many small arts groups have faltered by changing their focus from programming to building ambitious headquarters, Lewis and Ethos' board remain fearless. "If your focus is to be a permanent fixture in the Portland community, then focusing on a building is right on," says Betsy Brumm, chairwoman of Ethos' building committee. "I have great faith that Charles will get it done." Lewis' motivation lies beyond music; his only experience as a musician was playing in a college garage band. After graduating from the University of Portland in 1994, he served in the Peace Corps in the Congo, finally landing at Harvard. There, he did his master's thesis in public policy and worked with the famed Cambridge, Mass., music venue, Club Passim, to develop educational programs for kids. In 1999, Lewis returned to Portland, having already applied for nonprofit status to start Ethos Inc.
Brumm says Ethos is already meeting with officials from the Department of Housing and Urban Development to explore a potential low-interest federal loan. An East Coast foundation has asked for a proposal. The Meyer Memorial Trust just inked the first $75,000 check of a $200,000 grant for operations. And Ethos has received a steady flow of grants from the state's other funders, from the Ford Family Foundation to Oregon Community Foundation. Lewis envisions a phased renovation depending on the flow of money. For an estimated $1 million, Ethos could complete the bottom-line seismic upgrade and begin working out of the building, "even if it's not pretty." Lewis says music programs should be funded by the schools, "philosophically." But he adds, "realistically, I don't think it's going to happen." "Should we do something? I think yes," he adds. "Plenty of studies show kids perform better in school, and get in less trouble, when there are music programs in the schools. By doing it from the ground up like this, we'll get all those benefits and also empower the community." Charles Lewis knows that music can make a difference in a child�s life. It did in his. He based his Kennedy School policy thesis on this concept. And from there Ethos, Inc. was born, a Portland, Oregon nonprofit that brings music to children who would otherwise go without. "I saw more and more evidence of the importance of music for children," said Lewis, the 1999 recipient of the School�s Robert F. Kennedy Award for Excellence in Public Service. "They have better attendance scores, better test scores, they fight less�I heard about the cutbacks in the music program in Portland, and it came down to a question of fairness for me. Rich kids can take private lessons�but kids from lower income families can�t afford it so they lose out on that education." As one of six children raised by a single mother who worked two jobs, Lewis said he would not have learned to play the guitar had it not been for a program offered in his public school. While he partially credits his music education for his academic success, his upbringing also led to his strong desire to give something back. Lewis spent more than two years in the Peace Corps in the Congo and has volunteered for Habitat for Humanity, and he has worked in both state and local government. When he learned that music programs were being all but eliminated from the Portland public schools -- with 21 percent in school budget cuts since 1990, leaving a ratio of two arts teachers for every 1,000 students -- Lewis decided to put his thesis to the test. With Lewis as executive director, Ethos, Inc. -- taken from Plato�s ancient Greek doctrine that music can shape human moods, thoughts and actions -- has received $30,000 worth of instruments, allowing children to take lessons on a sliding scale payment system based on ability to pay. In its multifaceted approach to providing musical education, Ethos is expanding programs and forming partnerships with other nonprofits. Ethos, founded in 1998, relies completely on local and national grants so Lewis worked the first year at no salary but has no complaints. "From the Peace Corps I learned how to live simply and endure hardship, and now it�s just fun," Lewis says. "Now I�m the executive director of a nonprofit, and, like starting your own business, I�m able to take these leadership opportunities and run with them, and it�s rewarding too, to see that we are filling this critical need in the community and filling it fast." Charles should consider building such a center in Multnomah Village. Not that it would have to be the major arena, but maybe just an off-shoot. There is a Community Center over on Vermont. Maybe over in that area someplace, or maybe in Multnomah Village itself.